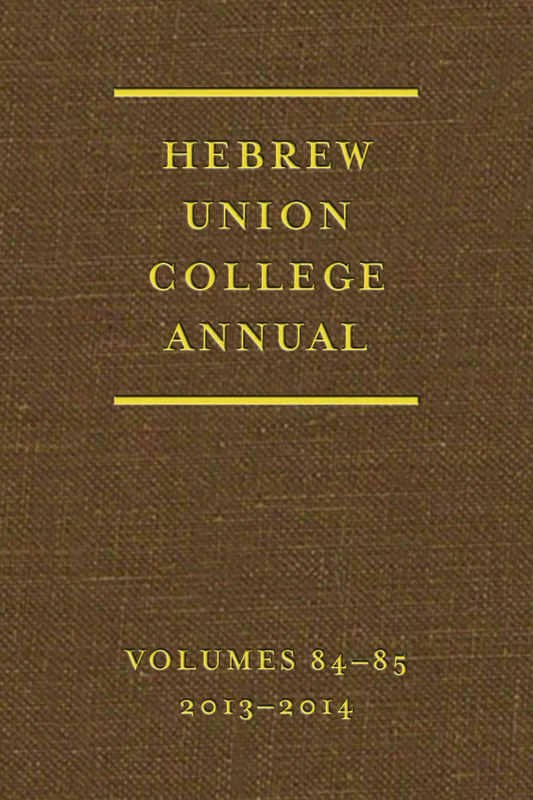 We are delighted to announce that Volumes 84-85 (2013-2014) of the Hebrew Union College Annual are now available. Please peruse the table of contents below. Go here to find out how you can order your copy. 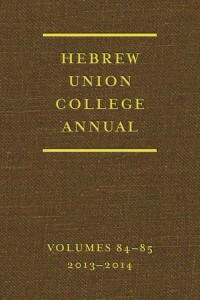 HUCA is the flagship journal of Hebrew Union College Press and the primary face of Hebrew Union College-Jewish Institute of Religion to the academic world. From its inception in 1924, its goal has been to cultivate Jewish learning and facilitate the dissemination of cutting-edge scholarship across the spectrum of Jewish Studies, including Bible, Rabbinics, Language and Literature, History, Philosophy, and Religion. Edward A. Goldman served as Editor for the current volume, Richard S. Sarason as Associate Editor, and Sonja Rethy as Managing Editor. Up until 2014, individuals and libraries placed orders for HUCA directly with the HUCA office. Hebrew Union College Press will no longer be handling orders and subscriptions directly. To continue service, or to establish new service, all individuals and libraries must establish a subscription or place orders for individual volumes with the Chicago Distribution Center. If you have not already done so, we invite you to go here to find out how. If you need to fill in your run, many back issues are still available, also through the Chicago Distribution Center. Published in hardcover since 1924, HUCA is now available to the public in digital form through JSTOR. You can browse, search, and read past issues through 2010. Volumes 84-85 (20132014) will be available for electronic subscription through JSTOR in January 2016. JSTOR is a digital library of more than 2,000 academic journals, 20,000 books, and two million primary sources. It helps people discover, use, and build upon a powerful research and teaching platform, and preserves this content for future generations. You can browse content in HUCA by clicking on individual issues. The search box at the top allows you to search content in the HUCA or in all of JSTOR. Want to read full articles? If you have access to JSTOR through your library, log in with your credentials. If you do not have institutional access, you can read up to three items at a time online through JSTOR’s free Register & Read Program. Find out how. You can also get unlimited online reading access and a set number of downloads by purchasing a month-to-month or annual JPASS, JSTOR’s library card. Find out how. New to JSTOR? It’s easy to learn. Find a quick overview and access to more in-depth help here. HUCA is also available digitally as part of the ATLA Serials collection, which you can access if your college, university, seminary, or public library has a subscription to the ATLA Religion Database. Ask your librarian for details.